German art historian, archaeologist, and aesthetics philosopher, Johann Joachim Winckelmann was one of the leading proponents of neoclassicism. He has long been recognized as a founder of modern methodologies in the fields of art history and archaeology. 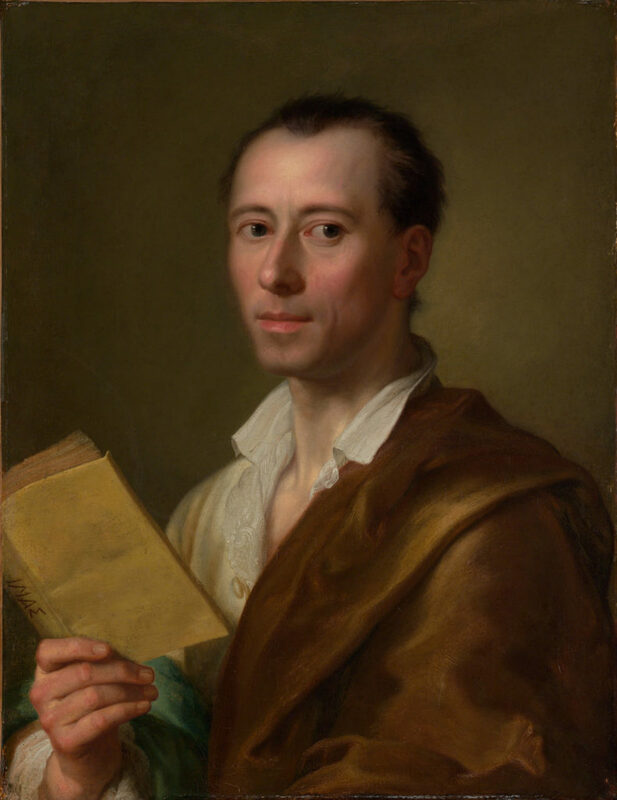 Johann Joachim Winkelmann, art historian and founder of the science of archaeology, was born in 1717 at Stendhal in Prussia. His early schooling in Stendhal and Berlin was followed by studies in classics and theology at the University of Halle. In 1741 he enrolled at the University of Jena, where he studied mathematics and medicine. In 1748, he took a position in N`thnitz as librarian to a Saxon and he continued his nocturnal studies. 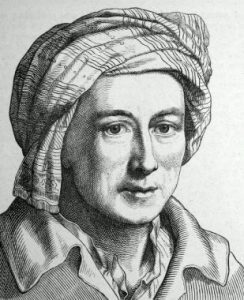 Arriving in Rome in November 1755, Winkelmann worked as librarian to various Church authorities and in 1758 helped to establish guidelines for the excavations at Pompeii and Herculaneum. In Trieste, he was stabbed to death for some jewelry he had in his hotel room. 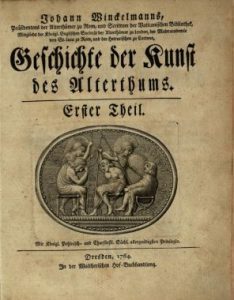 The genius and writings of Winckelmann, more than of any other single critic, reawakened the popular taste for classical art and were instrumental in generating the Neoclassical movement in the arts. Winckelmann’s two most influential works were the Reflections on the Imitation of Greek Works in Painting and Sculpture and the History of Ancient Art. The Reflections, essentially a philosophical definition of the Greek aesthetic, contains his often-quoted dictum on the “noble simplicity and quiet grandeur” of Greek sculpture. 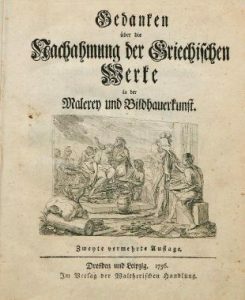 It also contains a description of the Greek statue of Laocoön that profoundly influenced the German playwright and critic Gotthold Ephraim Lessing, as well as much subsequent discussion on the relation between art, literature, and the emotions. The History of Ancient Art, though now long antiquated, is significant for having given the study of the history of art its foundations and a scientific methodology.